Educational leaders play an essential role in improving student achievement and student character. The development of exemplary leadership skills is fundamental for all stakeholders. The UGDSB is committed to providing professional learning opportunities to promote and develop effective leadership throughout our system. The intent of the board’s Leadership Development Handbook (PDF) is to provide a road map and reference of available supports and system opportunities for aspiring leaders. The Ministry is committed to supporting system level leadership and have multiple resources to support leaders at all stages in their educational career. Visit the Ministry’s site to learn more. Visit the Institute for Education Leadership which is a Ministry of Education sponsored resource, both sites provide a wealth of opportunities and resources to support educational leadership with excellent examples from across the province. 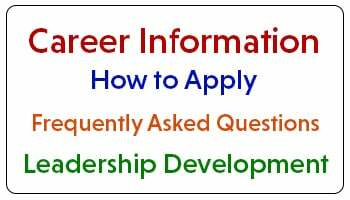 In addition to our Leadership Development Handbook, the below video provides a summary of the leadership opportunities that are available for educators in our board. Each section of the video will give you a summary of the event and describe the intended audience. Should you have any questions related to any of the events please do not hesitate to contact your administrator. We hope you will take advantage of some of the exciting opportunities available to you and that we may see you at an upcoming event!